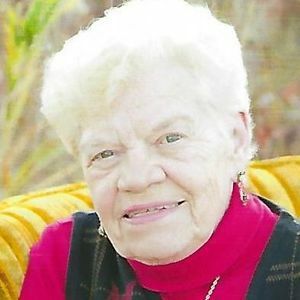 Cleotha "Cleo" M. Smith, age 87, passed away on Friday, December 7, 2018, in Sun Prairie. She was born on October11, 1931 in Sun Prairie to Mark and Frieda (Breunig) Haberman. She married Robert Smith on October 28, 1950 at Sacred Hearts Church in Sun Prairie. She worked at Herreman's for many years and also worked at Conrad's Sentry in Sun Prairie. Cleo loved her flowers, gardening, watching and feeding birds. She is survived by 3 children, Robert (Carol), Douglas (Mary) and Denise Emanuel; 1 granddaughter Heather (Eddie) Nagel; step-grandson Joseph Pettit; 5 step-great-grandchildren; and many nieces and nephews. She was preceded in death by her husband; parents; 2 sisters, Irene Schmitt and Arlene Woldt; 1 brother Melvin Haberman; and son-in-law Jay Emanuel. A Mass of Christian Burial will be held at 11:00 a.m. on Friday, December 14, 2018, at Sacred Hearts of Jesus and Mary Catholic Church, 227 Columbus Street in Sun Prairie. Father Grant Thies will preside. Burial will be at Sun Prairie Memory Gardens. Visitation will be held from 9:30 a.m. until the time of Mass at the church on Friday. In lieu of flowers, memorials may be made to Agrace HospiceCare. The beautiful and interactive Eternal Tribute tells Cleotha's life story the way it deserves to be told in words, pictures and video. Finally, go on acquiring power in the Lord and in the mightiness of his strength. Such a gentle and loving friend, wife and mother. Holding all of you close in prayer during this time and always. Aunt Cleo was a very special lady and will be missed by many. Sending love and prayers to her family.